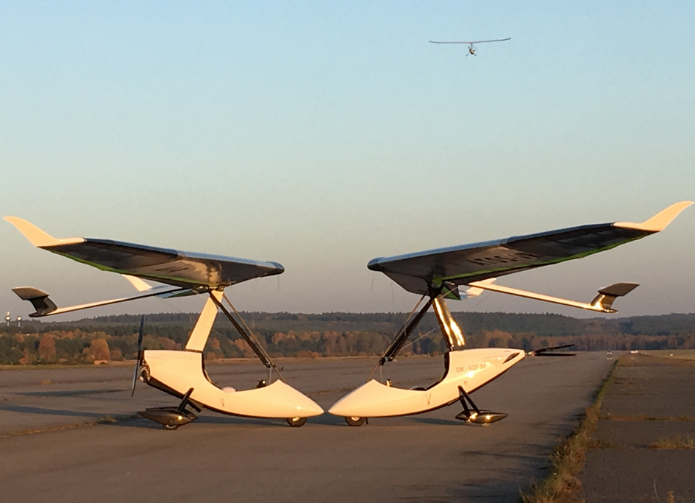 For pilots we offer the possibility of comparing of two very important angles of view. 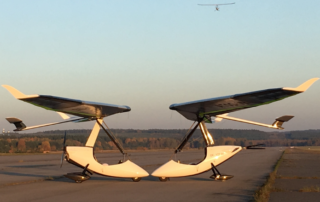 The first is the comparison of the two different power units already mentioned, and the other is the comparison of flight characteristics of conventional “flex” wings and ATOS rigid wings. 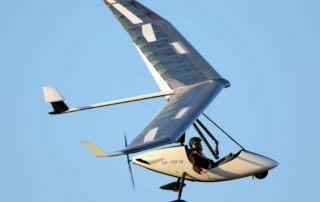 Typically, we have different types and sizes of wings at the airport, where you can practically test the full range of flight characteristics. Very interesting is testing of the use of various levels of control elements, including air brakes. 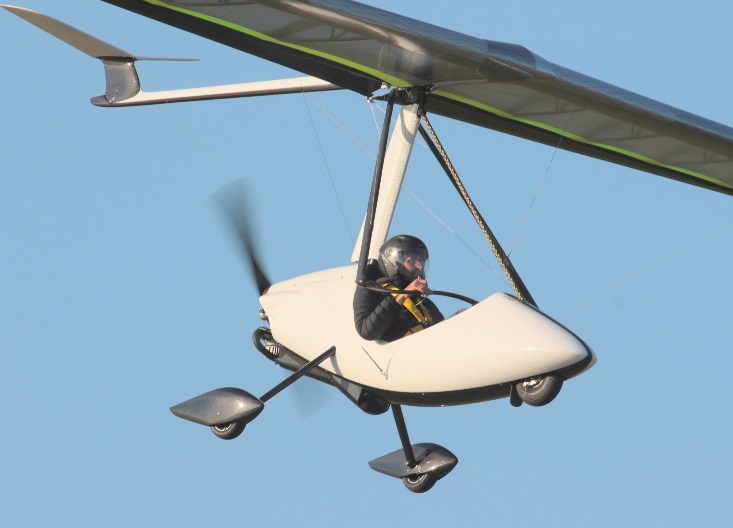 Brakes are the greatest safety benefit for powered flying. 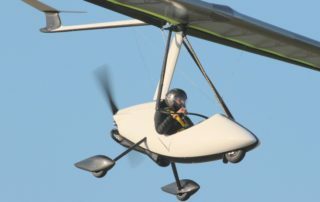 By using the brakes, the less experienced pilot is able to accurately correct his landing approach and land safely on very small areas. 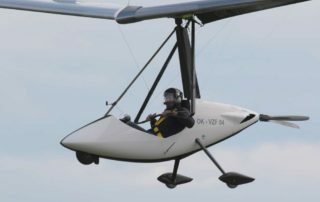 The ATOS VX (16 m2 carrying capacity, MTOM 232 kg) is a wing designed primarily as a free-flying tandem, which combined with a single-seat tricycle is an excellent unit for beginners. 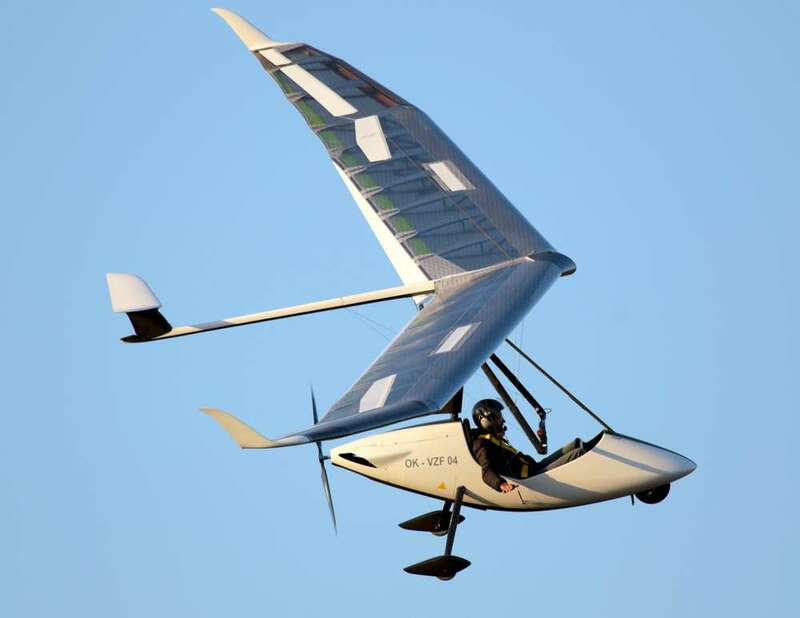 Characteristics of the machine with a large wing surface area and calmer, slower reactions and a minimum speed of less than 40 km/h make it one of the most suitable for reaching the first experience. 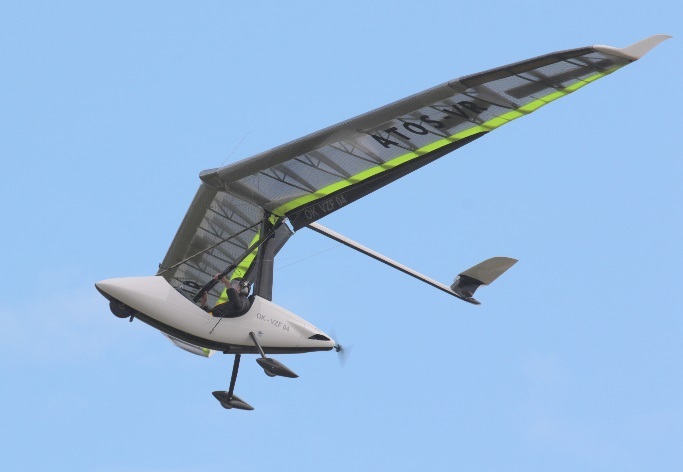 The ATOS VX is more suitable for heavier pilots. 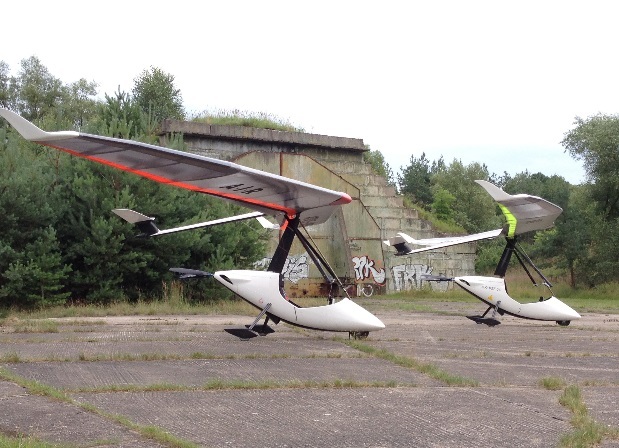 Due to longer pre-flight preparation and higher weight is better to keep them in the hangar assembled. 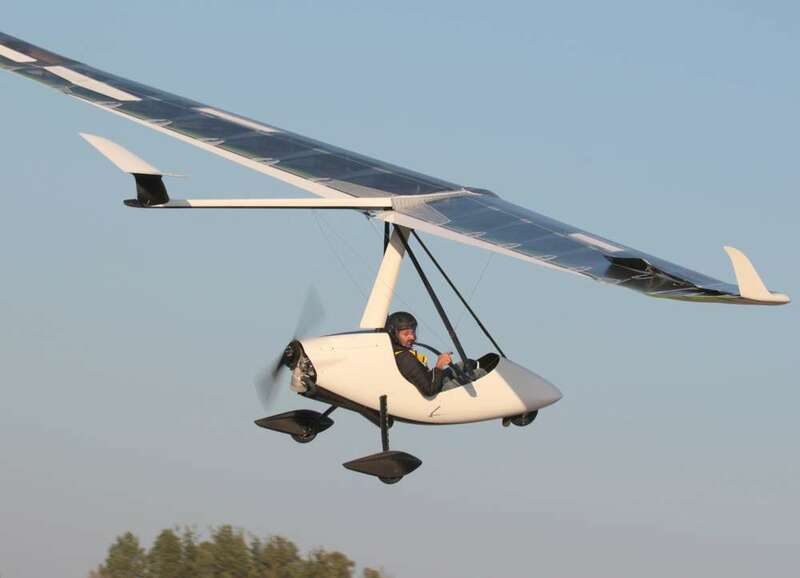 On the other hand, it is very well suitable for a combination with a tricycle with an electric propulsion system because the ATOS VX is a glider with almost the smallest sink ratio and in terms of the affordability of the wings used it has a very favorable price / performance ratio. 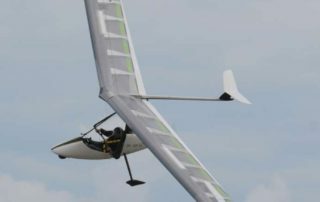 As has been said, ATOS VX is a great solution especially for beginners. Later you can choose the best type for you. You don´t have to invest large amount on money at the beginning. 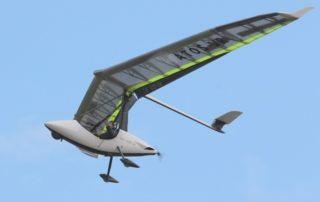 Normally available for the test flight are the “medium” gliders with the most common size – ATOS VR or VQ (wing surface area around 14 m2, MTOM 180 kg). 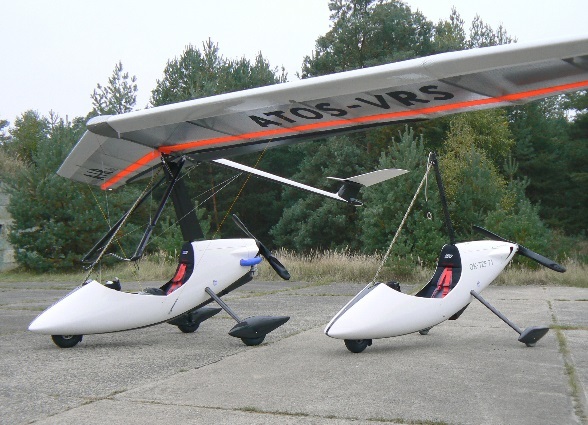 This is the most common size of ATOS wings in its standard versions for free flying with a weight limit of about 140 kg. 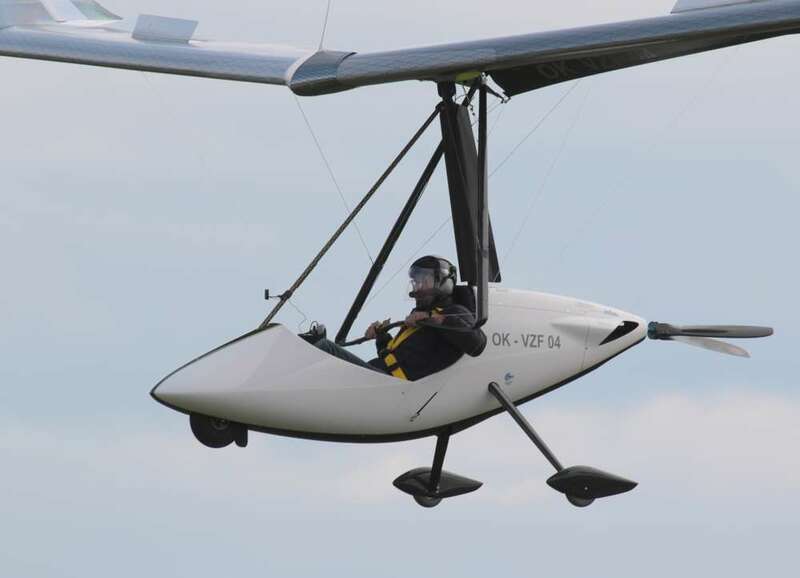 Combined with EGO trikes, they are suitable for lightweight pilots, usually up to 80 kg. For heavier pilots and tricycles with heavier battery power systems, it is necessary to use the enhanced ATOS VR 190 and VQ190 gliders (MTOM 228 kg) which have an extra weight of the pod up to 190 kg. Trikes with wings with a surface of arround 14-16 m2 are suitable for flying in flat and less windy areas and they are great choice for thermal flying. 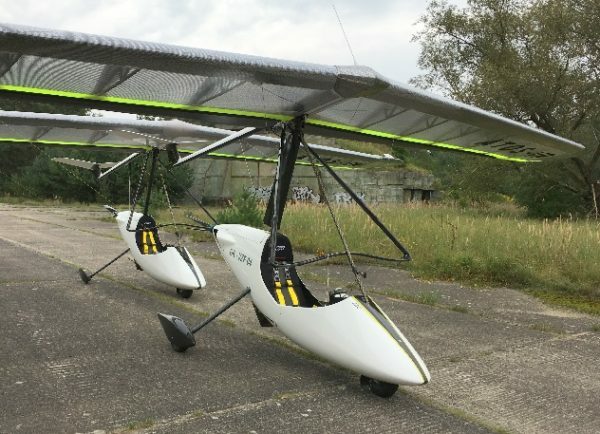 The third group is the ATOS VRS (wing area of 12 m2, MTOM 180 or 228 kg for version VRS 190 – regarding to the weight of the pilot + trike). 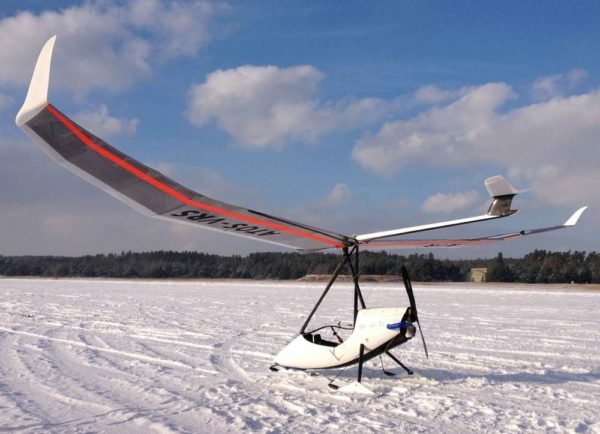 These smallest wings have excellent maneuverability. 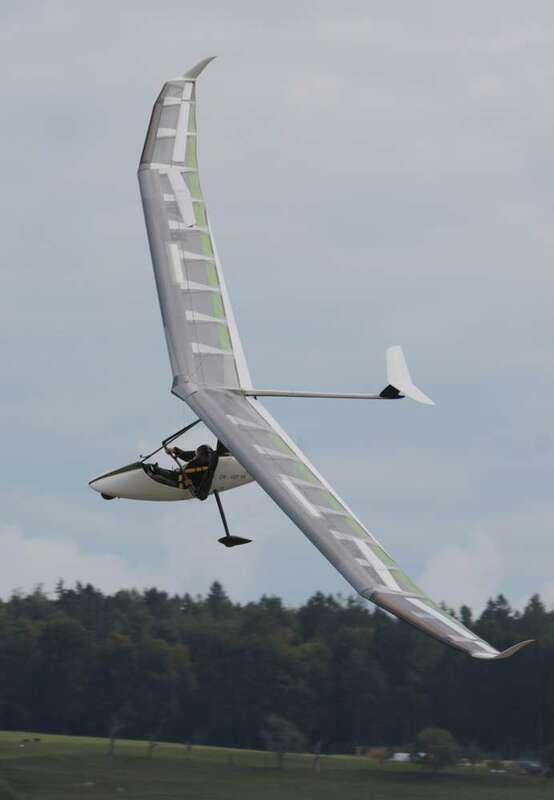 ATOS VRS or VRS 190 wing is suitable for light pilots and mountain and windy areas. 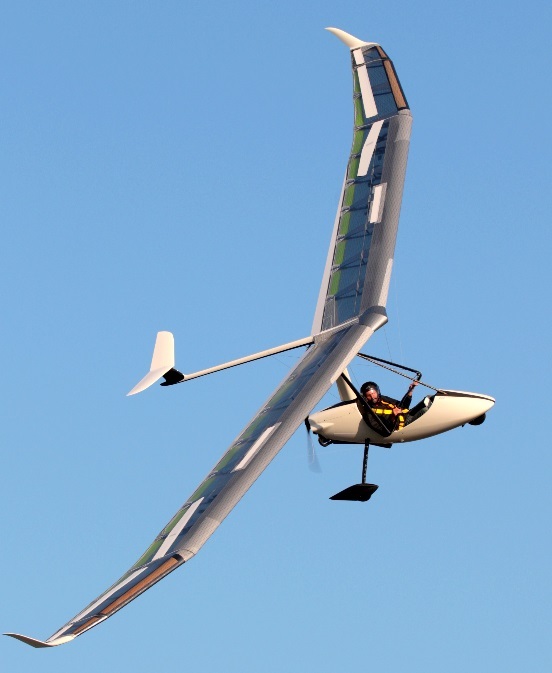 With a small wing it is possible to fly in stronger thermal conditions and with wind speed up to about 10 m/s. 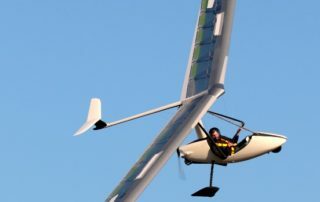 When traveling greater distances, they are not limited by any change in meteorological conditions. 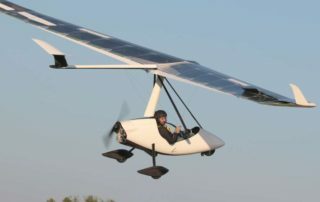 This brings a significantly higher level of safety compared to other light “nano trikes”.